Images By: Orange Giraffe Pub Co. 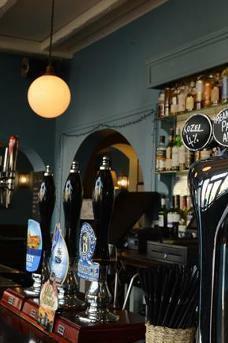 The Bobbin is a back street boozer in the hinterlands where Battersea creeps up to meet Clapham Old Town. Fortunately for this pub and the lucky locals this is one of a clutch of such pubs across the capital saved and gastrofied by brothers Richard and George Manners and their Orange Giraffe Pub Company. 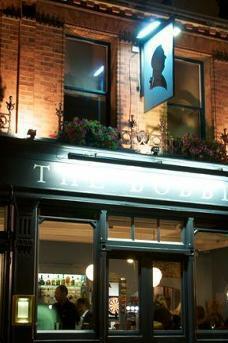 The Bobbin follows their tried and tested formula of good food and service in an unpretentious traditional pub environment. 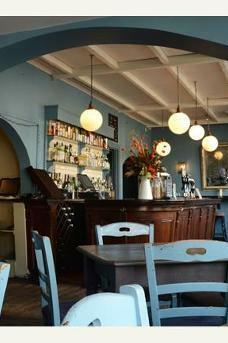 The large bar area straddles the wide front of the pub with large windows looking out onto the residential side street. 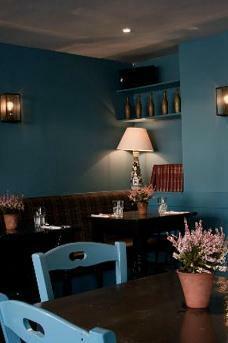 Baby blue painted panelled walls rise from bare boards with tartan upholstered banquettes and mismatched old chairs and tables. 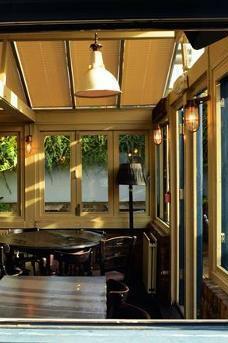 For more formal dining there's an airy flagstoned conservatory area behind the bar. Beyond that lies a sun trap of a walled beer garden. As befits a proper pub, The Bobbin boasts a dartboard and a choice of three regularly changing well-kept cask ales which usually includes offerings from Harveys and Sambrook's. The good value wine list boasts 20 wines by the glass. As with other Manners' pubs, food is the main attraction with daily changing modern British gastropub style dishes served with Jenga-style chunky chips. We particularly liked the "Duck & black pudding salad, roast pear, rocked and balsamic reduction" starter.